The month of August 1979 started with Jim Crockett Promotions doing some dynamic six man tag team matches across the territory, featuring a “dream team” if there ever was one! Ric Flair, Blackjack Mulligan and Ricky Steamboat represented the “good guys,” and they were every bit as dominant and one could imagine. The NWA World Tag Team Champions Paul Jones and Baron von Raschke formed the opposition, with their partner being one of three “bad guys” from the main event side of the roster. These six man battles were set in motion on the Mid-Atlantic Championship Wrestling television program that was taped on August 1st at the WRAL TV studios in Raleigh, North Carolina. On that show, Paul Jones came out and said he had a “brainstorm” to keep Flair, Mulligan and Steamboat from calling the Baron a “bald headed geek” that ruined Raschke’s concentration, and Jones proceeded to plop a blonde wig on Raschke, saying after that all the Baron could be called was “handsome.” That show also revealed that Flair had given Mulligan a new glove to wear in the ring, so the battle lines had certainly been drawn! On August 5th in the Hampton Roads Coliseum in Hampton, Virginia, massive John Studd teamed up with Jones and Raschke to battle the Flair, Mulligan and Steamboat terrific trio. In Richmond, Virginia on August 10th, the giant “Cat” Ernie Ladd formed the third member of the villainous team, but even Ladd’s addition couldn’t put the World Tag Team Champions over the top. In Raleigh on August 14th at the Dorton Arena, “Superfly” Jimmy Snuka formed another version of a powerhouse team with Jones and the Baron, but once again Flair, Mulligan and Steamboat prevailed in a titanic battle. The Charlotte Coliseum in Charlotte, North Carolina actually got two version of this great six man tag team action. On August 4th the Flair, Mulligan and Steamboat combination had their way with the pairing of Jones, Raschke and Studd. The World Tag Team Champions were none too happy with that result, and vowed to extract revenge when they came back in two weeks. On August 18th, the World Tag Team Champions brought in Ernie Ladd as their partner, but “Old 99’s” presence didn’t change the result as the Flair, Mulligan and Steamboat pairing again emerged victorious! Paul Jones and Baron von Raschke had more to worry about during the month of August than the six man battles with Flair, Mulligan and Steamboat. Their coveted World Tag Team Titles were hanging by a thread as the month began. Early in the month, Paul and the Baron seemed to finally extinguish the Title threat from the dynamic duo of Ric Flair and Ricky Steamboat. On August 5th in the Roanoke Civic Center in Roanoke, Virginia, the Champs held onto their belts against Flair and Steamboat in controversial fashion, losing the bout by disqualification, which allowed them to nevertheless carry out the World Titles. Then, an amazing World Tag Team Title match between Jones and Raschke and Flair and Steamboat took place in Raleigh’s Dorton Arena on August 7th in a Lumberjack Match. As in many of the contests in this series, the challengers got the better of the action, but were unable to get over the hump and snare the prestigious belts. A final bout between these four took place in Savannah, Georgia on August 26th, with the hated duo of Jones and Raschke prevailing. The new combination that would ultimately dethrone Jones and Raschke in August, albeit briefly, was the dynamic duo of Ric Flair and Blackjack Mulligan. On August 12th at the Greensboro Coliseum in Greensboro, North Carolina, these four battled in a World Tag Team Title Match with George Scott serving as the special referee. In a rugged encounter, the “good guys” ultimately prevailed in 34 minutes through the effective use of Flair’s figure four leg lock. Did the fans in Greensboro ever go wild with this Title change! This NWA World Tag Team Title victory of Flair and Mulligan not only created an upheaval in the tag team division, but in the singles ranks as well. Because of the prohibition of one wrestler holding two of the major NWA belts, Ric Flair was in the unenviable position of being forced to relinquish one of his two Titles. The “Nature Boy” elected to part with the United States Heavyweight Championship on the Mid-Atlantic Championship Wrestling television show that was taped on August 15th, and Jim Crockett Promotions established a giant one night tournament in Charlotte that was scheduled for September 1st to crown a new U.S. Champion. Prior to surrendering his U.S. Heavyweight Championship, Ric Flair did have several eventful Title defenses. On August 3rd, Ric took the measure of Paul Jones in Columbia, South Carolina in a very spirited Lumberjack Match. The next night in Spartanburg, South Carolina, Flair and Mid-Atlantic Heavyweight Champion Ken Patera battled in a Title versus Title encounter, with Ric prevailing by disqualification. Then on the afternoon of August 12th, just hours before he would capture one-half of the World Tag Team Championship, the “Nature Boy” had a successful U.S. Title defense against the stiff challenge of the gigantic Ernie Ladd. Flair and Mulligan had two successful defenses of their NWA World Tag Team Titles against the former champions Jones and Raschke. 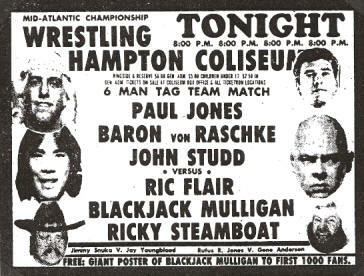 On August 16th at the Scope Coliseum in Norfolk, Virginia, Ric and Mully scored a clean victory despite the underhanded tactics employed by Paul and the Baron. Ric and Blackjack followed up that Norfolk victory with an equally impressive win at the Greenville Memorial Auditorium in Greenville, South Carolina on August 20th. In a somewhat surprising move, Flair and Mulligan then agreed to give Jones and Raschke a return World Tag Team Title bout on television at the WRAL TV studios in Raleigh on August 22nd for the television tapings of World Wide Wrestling. The stakes could not have been higher for this rare NWA World Tag Team Title match on television. The World Tag Team Title bout on television was an entertaining one to say the least. Ricky Steamboat assisted host Rich Landrum by providing insightful color commentary. Flair and Mulligan dominated a good portion of the match, and appeared well on their way to retaining their Championship. However, when the “Nature Boy” got Paul Jones up for what looked like a match-winning suplex, something went terribly wrong. Paul ended up falling on top of Ric, and captured a quick one-two-three to win the belts back for the villains. There were two schools of thought as to what happened. Jones and Raschke contended that Paul “reversed the suplex in mid-air” that allowed for Jones’ pinfall victory. Flair and Mulligan had a different take as to what happened. Blackjack said it was a “fluke,” as he had just given Raschke a piledriver, and that Raschke remained in the ring “illegally.” Flair went on to argue that Raschke caused him to trip, enabling Jones to fall on top of him, stun him and capture the pin. The “re-crowned” Champions battled Flair and Mulligan in a couple of heated Title rematches before the end of the month. 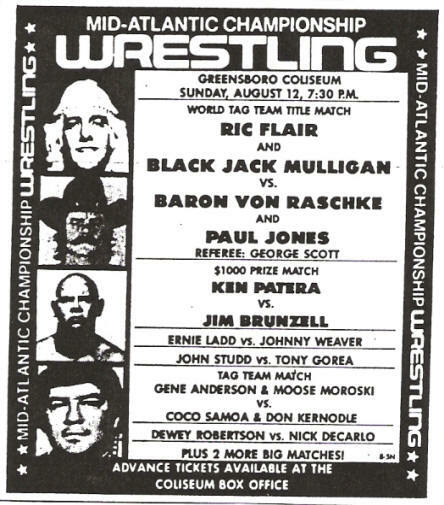 On August 30th in the Norfolk Scope Coliseum, the two teams grappled in a vicious “Texas Tornado” match that saw Ric and Blackjack emerge with a controversial disqualification win. The next night in the Richmond Coliseum, the action was every bit as heated between these bitter rivals, but Jones and Raschke retained their belts by the skin of their teeth. “Nature Boy” Buddy Rogers continued to make his presence felt throughout the Mid-Atlantic area during the month of August. In addition to managing and transforming Jimmy Snuka, Rogers announced on the August 8th taping of the World Wide Wrestling television show that he was also the new manager of “Big” John Studd. It didn’t take long for Rogers’ new team of John Studd and Jimmy Snuka to make an immediate impact. On the Mid-Atlantic Championship Wrestling program that was taped on August 8th, Rufus R. Jones introduced the fans to Luther and Leroy Dargon. According to Rufus, the “Dargon Twins” were the first pair of black twins in professional wrestling history. Rogers quickly came out, and challenged the twins to meet his new team of John Studd and Jimmy Snuka and the Dargon’s accepted the challenge. Almost immediately after the match began, Rogers interfered which led to Rufus coming into the fray to help the twins. Luther and Leroy took a beating, but actually got the win by disqualification. The way that things went down led to Rufus challenging Snuka to a singles match, so that set up to be a bitter contest between two combatants who were close friends up until about a month prior to this situation. Two weeks later on the Mid-Atlantic Championship Wrestling television program that was taped on August 22nd, there was a rematch between the Dargon twins and John Studd and Jimmy Snuka. Again, Buddy Rogers interfered, this time leading to Rufus, Ricky Steamboat and Jay Youngblood entering the ring to even up the sides. And earlier on that same August 22nd television program, Rogers had a letter read to him from NWA President Bob Geigel, demanding that Buddy start appearing in the territory’s arenas by August 30th, or that he would be suspended and his manager’s license would be revoked. Geigel’s letter also acknowledged that Rogers had a problem with his ears, from a previous operation, and the NWA President asked the Mid-Atlantic fans to keep their noise down when Buddy was at ringside! For Rogers’ part, he said he would honor his contract and start appearing at the arenas, but he also beseeched the fans to keep the noise down because of his sensitive ears! 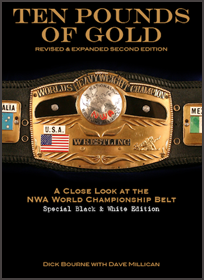 NWA Television Champion Ricky Steamboat successfully defended his prestigious Title against the challenges of Ken Patera, Paul Jones and Jimmy Snuka during the month of August. But Ricky’s biggest accomplishment during the month regarding his TV Title was ending the Title threat of Ernie Ladd with a rousing victory on Mid-Atlantic Championship Wrestling television in a bout that was taped on August 8th at the WRAL studios. Paul Jones and Baron von Raschke provided running commentary on the match along with announcers Bob Caudle and David Crockett. In a very entertaining see-saw affair, Steamboat captured the pinfall victory when Ladd attempted a dive off the top rope that Steamboat moved away from in the nick of time. Steamboat then went off the top rope himself, and covered a stunned “Big Cat” for the win. The post match activity was almost as entertaining as the bout itself! Right after Ladd was pinned, Jones and Raschke rushed the ring and attached the victorious Steamboat. This in turn prompted Blackjack Mulligan and Ric Flair to enter the fray! Once the sides were evened up, Ladd left Jones and Raschke and headed to the dressing room, which gave the “good guys” the advantage. After the fracas, as Jones and Raschke were being interviewed by Bob Caudle, an enraged and bloody Blackjack Mulligan came on the set and tore off Jones’ prized “bravery” medal given to him by the Baron, and promised revenge for getting busted up on national television! Ricky Steamboat seemingly found a new tag team partner during the month of August. 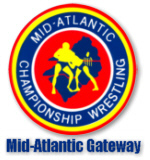 On the August 22nd Mid-Atlantic Championship Wrestling TV program, Ricky came out with the “Indian Sensation” Jay Youngblood and the two talked about their friendship, and later had an impressive win over the team of Gene Anderson and Charlie Fulton. It appeared as through Youngblood was transitioning from the mid card ranks to the main event ranks. During the month of August, Mid-Atlantic Heavyweight Champion Ken Patera successfully defended his prized belt against the challenges of Ric Flair and Ricky Steamboat in Title versus Title bouts. Patera also battled Rufus R. Jones over his Championship in August. But far and away Ken’s biggest challenge during the month came from the acrobatic “Jumping” Jim Brunzell. Ken not only defended his Title against Jim, but also grappled Brunzell in a series of bouts where a $1,000 prize was awarded to the winner. It became abundantly clear during a late July episode of Mid-Atlantic Championship Wrestling that Ken Patera was going to have his hands full with Jim Brunzell. During that televised match, Jim not only defeated Ken once in a non-title bout, but he defeated him TWICE in succession! So the pressure on Patera from Brunzell was enormous during the month of August, as it really appeared that Jim had Patera’s number. On August 24th at the Richmond Coliseum Patera and Brunzell punished each other throughout with Ken’s Title on the line, but it appeared that Jim was going to emerge the new Mid-Atlantic Champion. Only some very fast thinking, and underhanded tactics, allowed Ken to get himself disqualified and retain his Title. Similar scenarios led Patera to escape with his Mid-Atlantic Heavyweight Title in Winston-Salem, North Carolina on August 25th and at Raleigh’s Dorton Arena on August 28th. Patera’s near escapes left one to wonder whether it was only a matter of time before Jim Brunzell broke through and ended Ken’s stranglehold over the Mid-Atlantic belt. The “World’s Strongest Wrestler” didn’t fare any better against “Gentleman” Jim Brunzell in the $1000 matches mentioned earlier. Brunzell became $5000 richer during the month of August, first by beating Patera on August 12th with the money on the line, in Asheville in the afternoon and in Greensboro the same evening. Then “Jumping Jim” also took the $1000 prize from Patera on August 16th in Columbia, South Carolina, on August 21st in Raleigh and on August 30th at the Scope Coliseum in Norfolk, Virginia. 1. Blackjack Mulligan---The big man from Eagle Pass, Texas was dominant upon his return to the Mid-Atlantic area, winning his singles bouts and also forming an imposing tag team combination with the “Nature Boy” Ric Flair. 2. Jimmy Snuka---Much like Mulligan, the “Superfly” looked unstoppable as he mowed down all the competition put in front of him. With his manager Buddy Rogers running interference for him, Snuka had his sights squarely set on the United States Heavyweight Championship. 3. Jim Brunzell---“Jumping” Jim Brunzell had another impressive month, taking a series of $1000 purses from Ken Patera, and clearly emerged as the number one contender for the Mid-Atlantic Heavyweight Championship belt. 1. Ernie Ladd---“The Cat’s” Mid-Atlantic run pretty much ended in August, though he would take part in the U.S. Title Tournament on September 1st before departing. Ernie dropped TV Title bouts to Ricky Steamboat, U.S. Title bouts to Ric Flair and typically dropped the fall when teamed with Paul Jones and Baron von Raschke in six man bouts against Flair, Mulligan and Steamboat. 2. Ken Patera---The muscle-man from Portland, Oregon was feeling the heat from Jim Brunzell, dropping a number of $1000 bouts to the youngster as well as barely escaping with his Mid-Atlantic belt against Jim in several bouts late in August. 3. Rufus R. Jones---The “King of Wrestling” seemed to be treading water during the month of August, with his short lived alliance with the Dargon twins not helping matters. Rufus just didn’t seem to have the same spark that he did in previous stints in the Mid-Atlantic area.